Reporting to the Manager of Business Improvement, the primary purpose of this Senior Consultant role is to provide advanced Business System and Improvement expertise to the locations and functions of the Alumina Business Unit. You will be based between south of Perth and the Peel Region. This role will play a major part in implementing Alcoa Business System (ABS) structures, processes and procedures. Part of this focus will involve the coaching of line and functional leaders and employees in the ABS methodology and tools. The role requires sound change management experience to support involvement in strategy development, problem solving and the implementation of business improvements across multiple locations and levels of the business unit organisation. To be successful in this role and to play a part in our ongoing success you will have advanced problem-solving skills, sound interpersonal and influencing skills and an advanced awareness of team dynamics. You will need to have the skills and ability to influence, coach and engage individuals or groups across the various cultures represented in our global business unit. You will be ambitious, Degree qualified and have extensive experience within the Alumina Industry or a similar resource processing or manufacturing environment, along with demonstrated involvement in managing change. Familiarity with Alcoa's business processes is desired but not essential. Alcoa of Australia’s head office is located in Booragoon, approximately 15 kilometres south of Perth’s central business district. Approximately 150 employees provide corporate services, including finance, procurement, information technology, environmental management and corporate affairs, to Alcoa’s businesses locally and world-wide. Alcoa’s Peel regional office is located in the town of Pinjarra, approximately 85 kilometres south of Perth and just 20 minutes from the coastal city of Mandurah. Approximately 80 employees provide essential support services to Alcoa’s Australian and global businesses. You will be ambitious, Degree qualified and have extensive experience within the Alumina Industry or a similar resource processing or manufacturing environment, along with demonstrated involvement in managing change. Familiarity with Alcoa&#39;s business processes is desired but not essential. - Alcoa employs approximately 4,300 people in Western Australia (WA) and Victoria; most of our employees live regionally and our head office is in the Perth suburb of Booragoon. - Alcoa has been named an employer of choice for 16 consecutive years by the Federal Government’s Workplace Gender Equality Agency (WGEA), and Alcoa of Australia’s Chairman and Managing Director Michael Parker is a WGEA Pay Equity Ambassador. - Alcoa is an active and supportive partner in the community. The company sponsors ideas and opportunities important to local people such as addressing mental health, inspiring youth, promoting environmental education and highlighting health and safety. - Alcoa has been contributing economically and socially in Western Australia and Victoria for more than 50 years. More than 75 per cent of Alcoa of Australia’s total annual revenue stays in Australia through wages, local purchasing, taxes, royalties, capital investment and dividends to Australian shareholders. 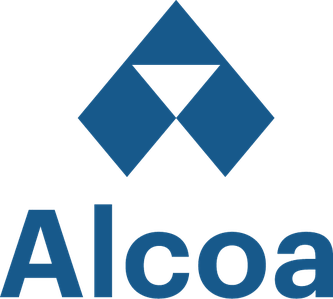 - It is Alcoa&#39;s policy that all employees must advise their immediate supervisor or manager of their application prior to applying. - You will only be contacted if you are shortlisted for an interview, this process can take up to four weeks from the closing date.